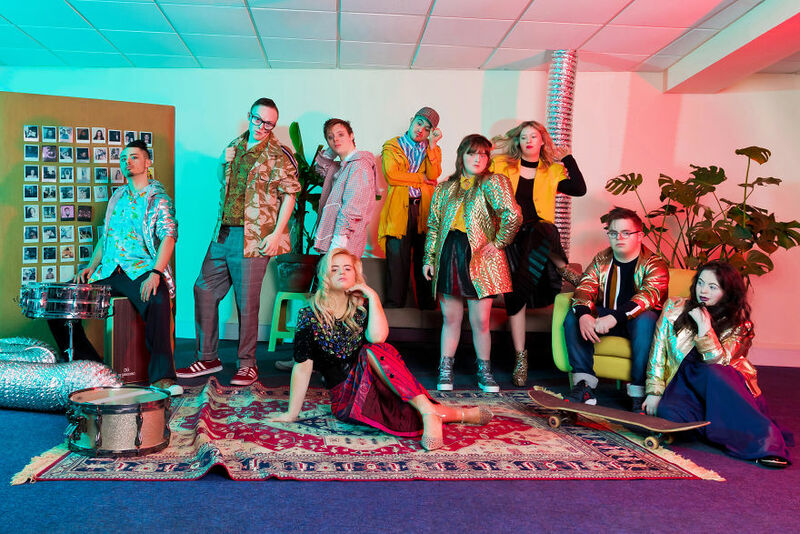 Zebedee Management collaborates with the #RadicalBeautyProject on their first ever group shoot for #WDSD. 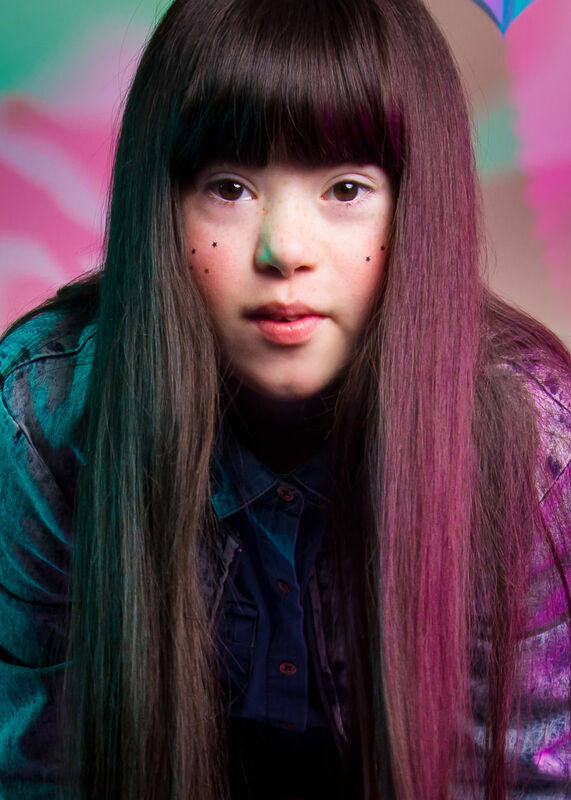 All the models featured have #DownSyndrome, and look every inch the #Supermodels they are. 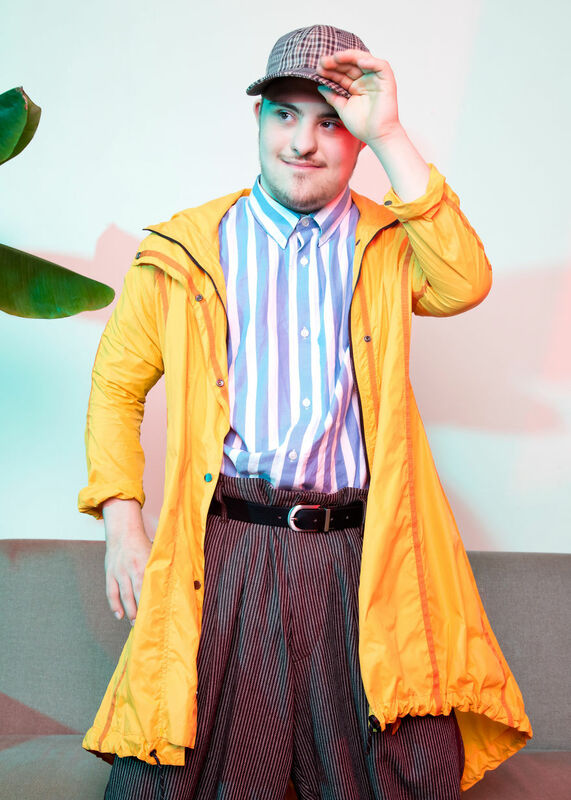 When it comes to Down syndrome, most people are so prejudiced (for many reasons, and we aim at challenging these reasons in the process) that they can’t see the forest for the trees and keep these very capable individuals back, in the shadows preferably. Actually, they are pretty sure there’s no forest, they strongly believe there’s just one tree called Down syndrome, end of. We are desperate to change that and reveal to everyone the huge forest beyond the trees, the endless abilities people with Down syndrome have when given the chance! That is why we are beyond thrilled and excited to announce our unique collaboration with the pioneering and daring Radical Beauty Project. 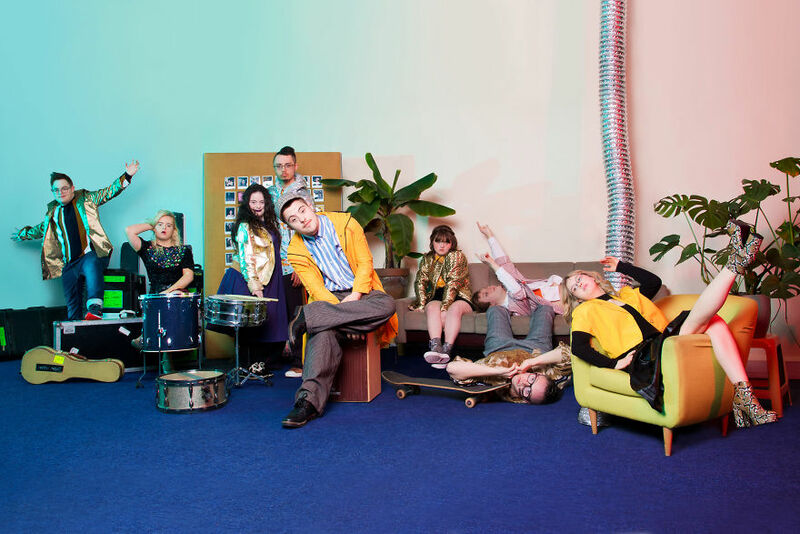 Its creator, choreographer Daniel Vais, believes like we do, in the incredible beauty, uniqueness, and abilities of people with Down syndrome, and he worries about their doom. 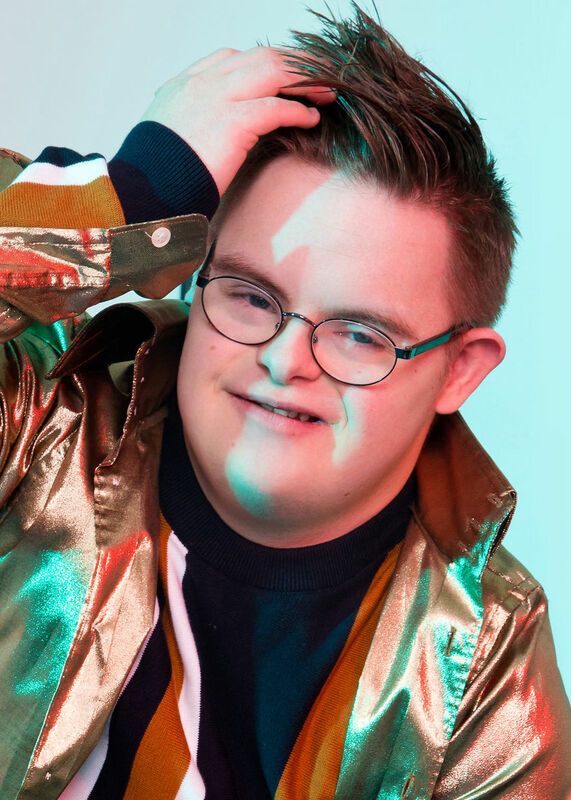 He is working on a high-end, avant-garde and fashion photography book featuring only models with Down syndrome from all over the world, shot by the best photographers in the industry. 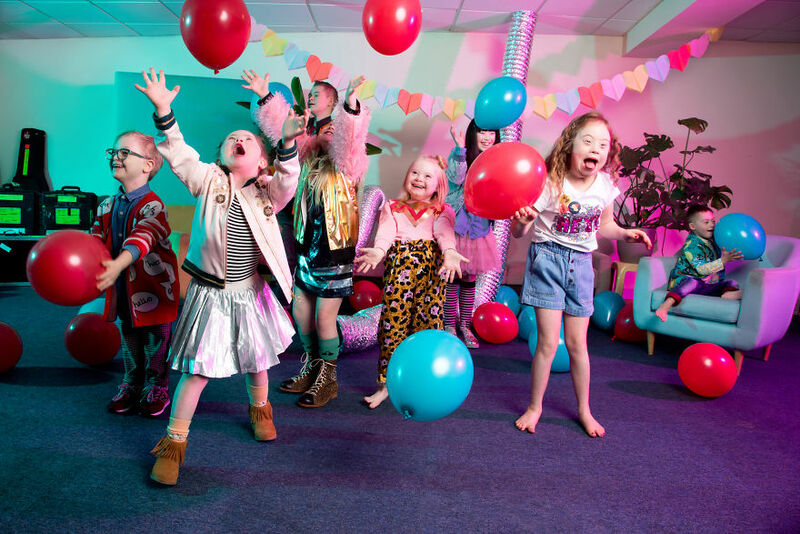 Zebedee Management is a unique talent agency who represent models of ALL ages and ALL abilities. In spite of our models’ challenges, our talent is regular people like you and me, but they are a shining example of inspiration. 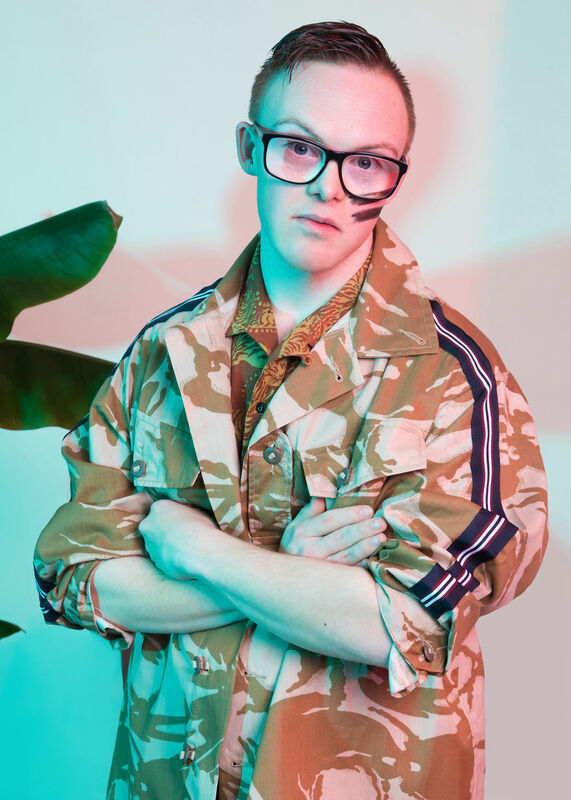 With Zebedee’s help, they are determined to bring the fashion world up-to-date and be represented as equals, and rightly so. That’s why we are absolutely delighted that our diverse models have been asked to take part in so many wonderful campaigns worldwide. At Zebedee Management, we share the same vision and strive for designers and luxury brands to include diverse models, from the designing process all the way to representation in the media and on the runway. 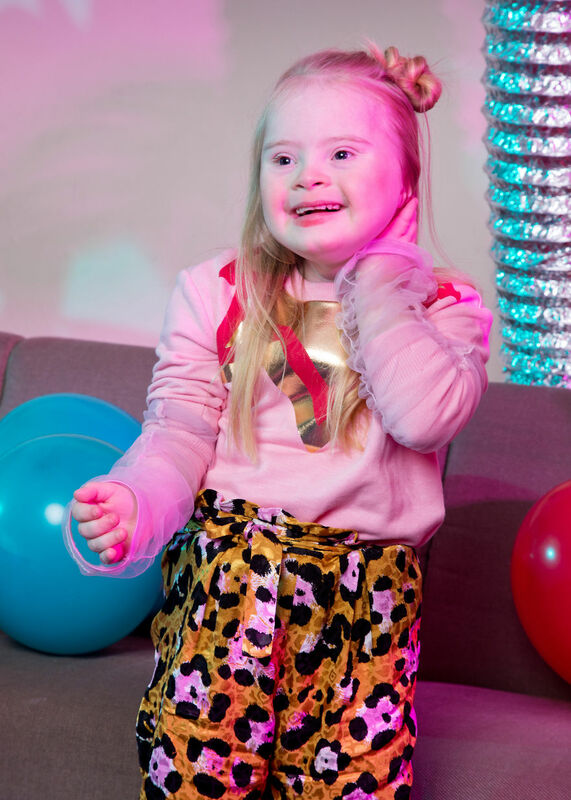 We have some major brands booking our models repeatedly and are now seen as one if not the leading agency in representing talent with disabilities, differences and additional needs. 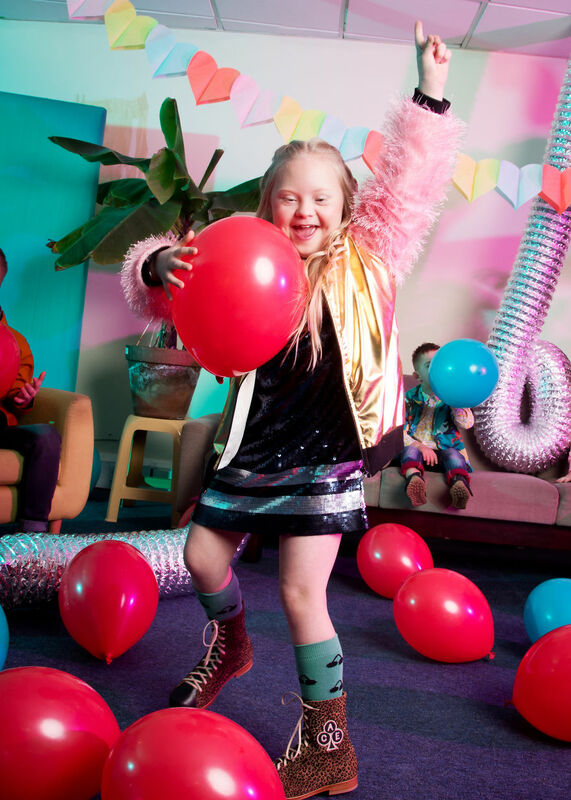 The pictures of our collaboration with Radical Beauty Project will be released to raise awareness and celebrate World Down Syndrome Day on March 21st (March 21st because people with DS have 3 copies of chromosome 21 instead of 2), and… we can’t wait! 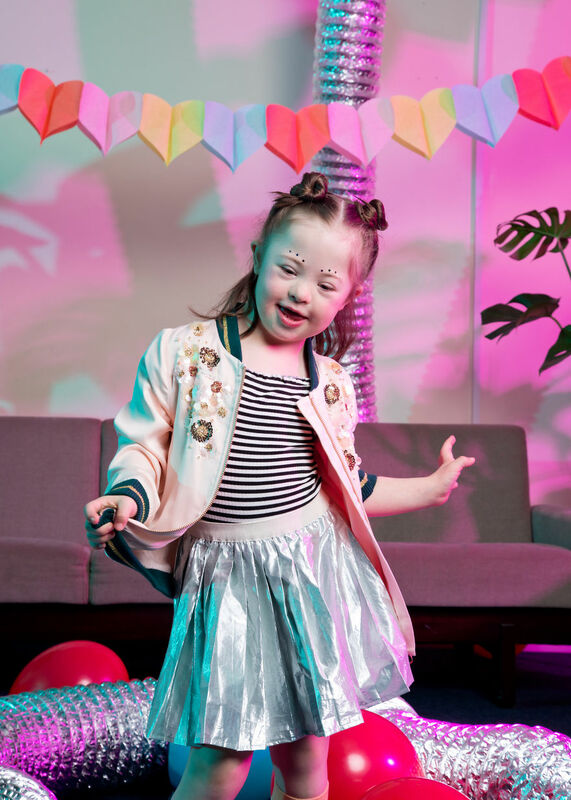 You may have seen the recent River Island campaigns, gracing the cover of Grazia magazine, the Mercedes Benz TVC, and the Benefit cosmetics who used our model who has Down Syndrome. All are using our models to push the boundaries in casting diversely. “These projects are so important to be part of because we still need to raise as much awareness as possible. Show the world our children are the same as everyone else. They ARE able to achieve their goals in life. There are still too many ignorant people!!! Ellie wants and needs to fulfill her hopes, dreams, and aspirations in her life!!!! And that means being accepted and SEEN!! ” – says Yvonne Goldstien – Ellie’s mum. Kate who recently shot for Benefit cosmetics and walked in #LondonFashionWeek. Sara has had lots of brilliant bookings for brands that include #RiverIsland, #Matalan, #MountainWarehouse and many more. 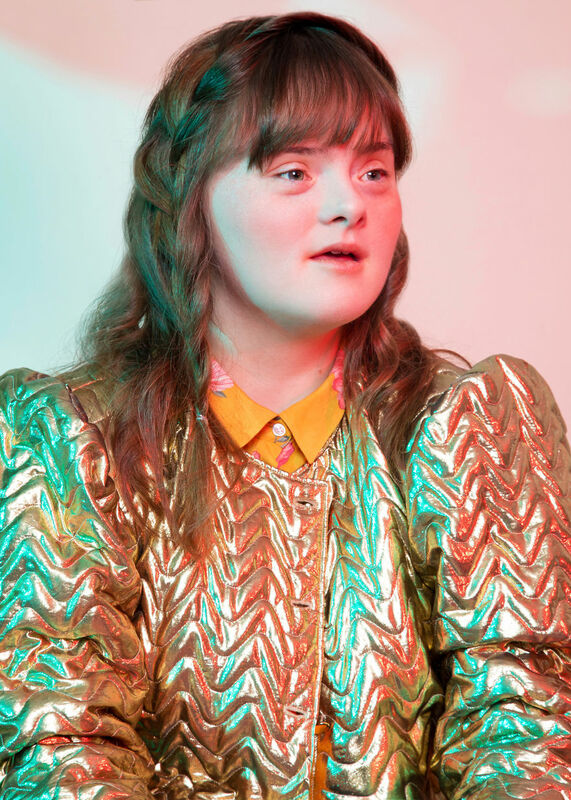 “It’s so important for my daughter Sara to take part in these amazing campaigns such as The Radical Beauty Project because unfortunately, it’s a constant battle for people with DS to be seen by society as so-called normal people who do normal things. It helps to highlight and raise awareness that DS is not something to be feared of nor should it need testing for as though it’s a harmful disease. It’s something to be cherished, grateful for, proud of… it’s something to celebrate like every other living thing. It’s magical. It a precious life. ” – says Jen Zeb – Sara’s mum. 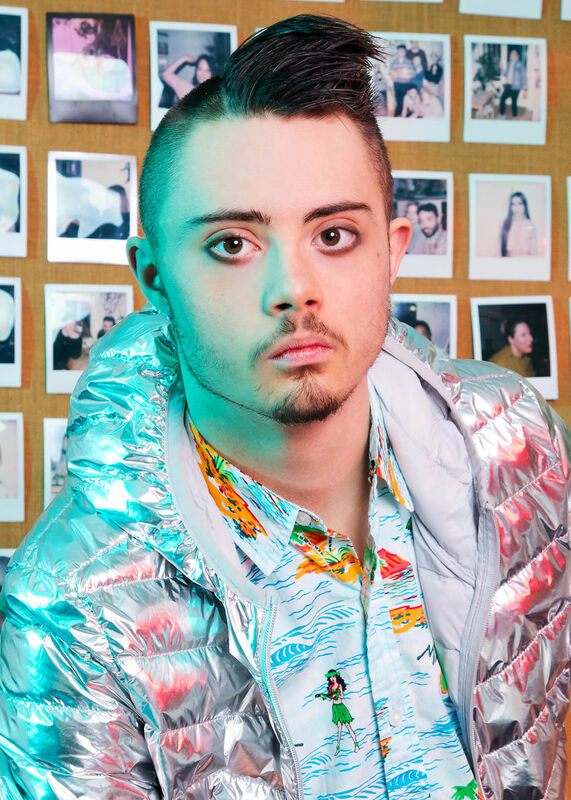 Jack has had several paid jobs as a model and has also worked with #Rankin for Hunger Magazine Jacks. His goal is to earn money so he can live independently and look after himself. Jack enjoys media and performing arts and now has a strong interest in photography after being inspired by Rankin. Callum says he enjoys doing projects like this because he meets his friends. He also likes being a model and is proud of what he can do. Projects like this show how having Down syndrome is no barrier to achieving your dreams. It can educate and change perceptions that some people may have about Down syndrome. It shows a beauty that is real. Kathleen has been booked regularly for #RiverIsland and has recently shot a campaign for #Marvel films called #iammarvel. “For me, it means people really love us and they don’t mind Down syndrome.” – explains Kathleen. “Why is it important for my child to take part in such projects? Simply because it equates to her AND her condition being validated, appreciated, honored and loved by society as a whole, just as much as anybody else.” – says Denise – Kathleen’s mum. Harry has been booked by River Island and has also been on the front cover of Possibility magazine. Isabella recently worked on a 2 day shoot for a large charity campaign. She also attends a full time Performing Arts college. 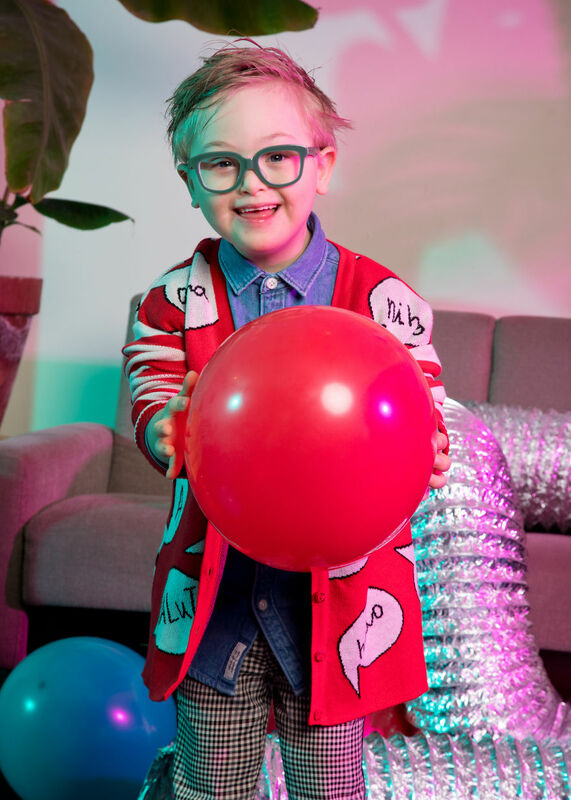 “It was an absolute pleasure for Gabe to take part in the Radical Beauty project, Daniel and the team were absolute diamonds, and it was fantastic to meet up with so many families – we are truly becoming friends through and all down to #teamzebedee. Fashion represents society, what is acceptable, what is desirable and what is aesthetically pleasing – it can be challenging, daring and provocative – making us reinterpret old values and stereotypes. 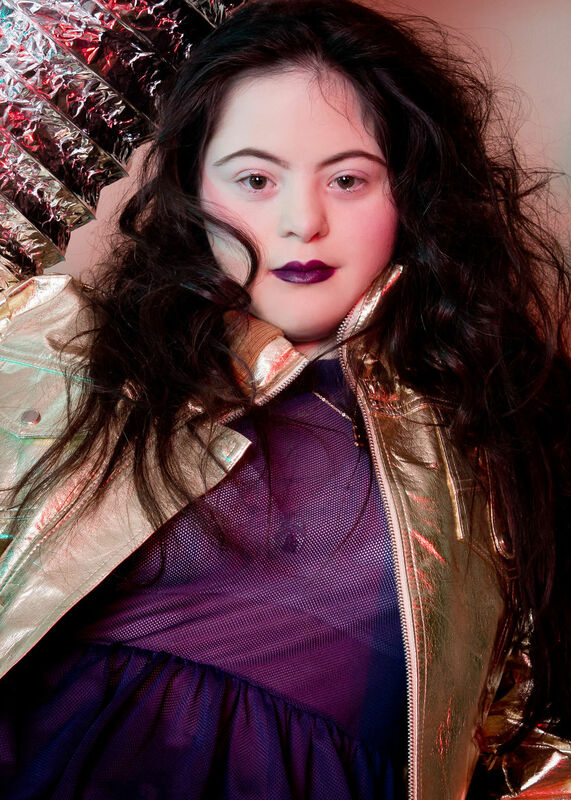 Being part of Radical Beauty has been an amazing opportunity for Gabriel to be part of something extraordinary, a fashion photography campaign that shows the beauty and talent of the models, it dares to challenge the norm and smashes out of date stereotypes about the capabilities of people with Down Syndrome.” – says Rebecca Sohotha – Gabriel’s mum. Cora has been a very busy little girl and had lots of great paid opportunities. She is also the face of the new range of children’s glasses at #Specsavers. 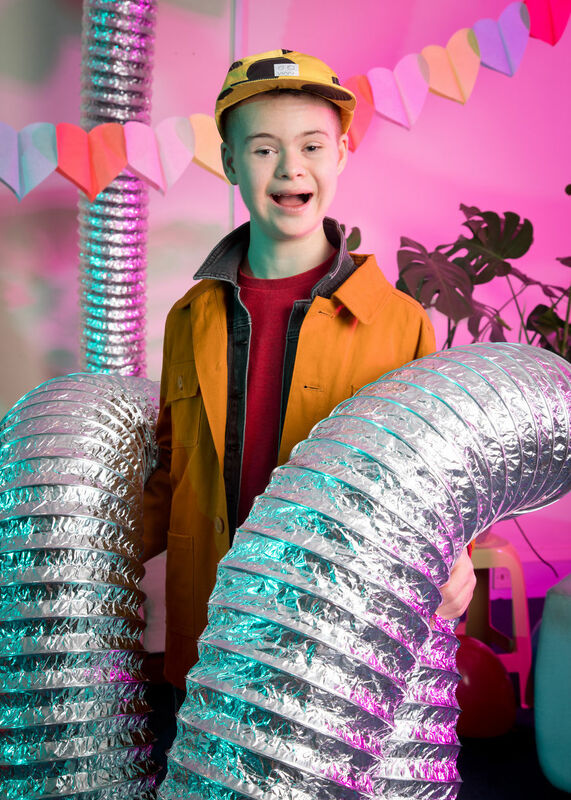 “This project shows the beautiful diversity of people with Downs Syndrome. We are thrilled that Cora has been involved. We want the world to see her for who she is, and projects like this help us do that.” – says Sheryl – Cora’s mum. Chloe who has worked for some big name brands including #EllasKitchen, #RiverIsland and #MarksAndSpencers and has a strong social media following due to her being a complete fashionista! Ben is an amazing young actor who gained one of the highest grades in his recent drama exams. Ben has been booked several time for various acting and modelling roles. 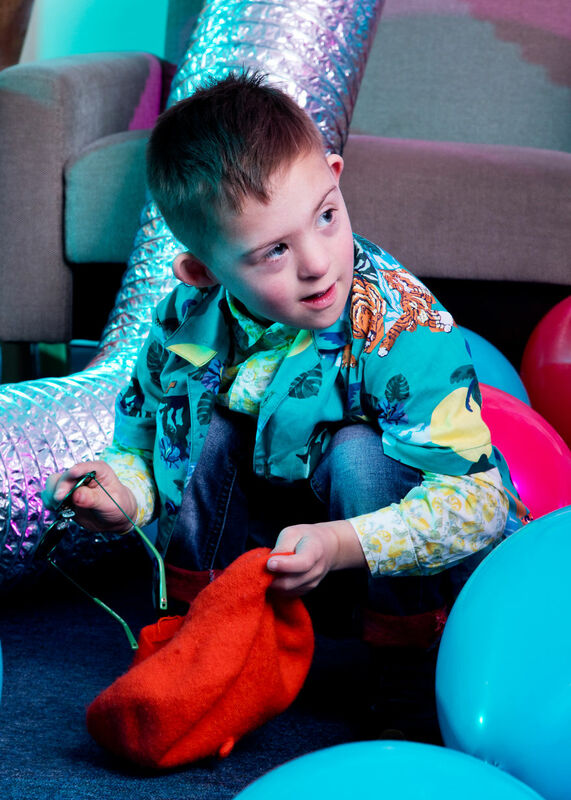 “What I would say is important to me about Frankie being involved in the project is that hopefully, it is breaking down barriers and obviously raising the profile of people with #DS. People with DS have been kept in the shadows for too long! They need to shine their amazinness on the world!! It is showing that people with DS have WORTH and to not put limitations on Frankie. I believe he has huge potential. He is living his BEST Life and loving it.” – says Vicky Porter – Frankie’s mum. 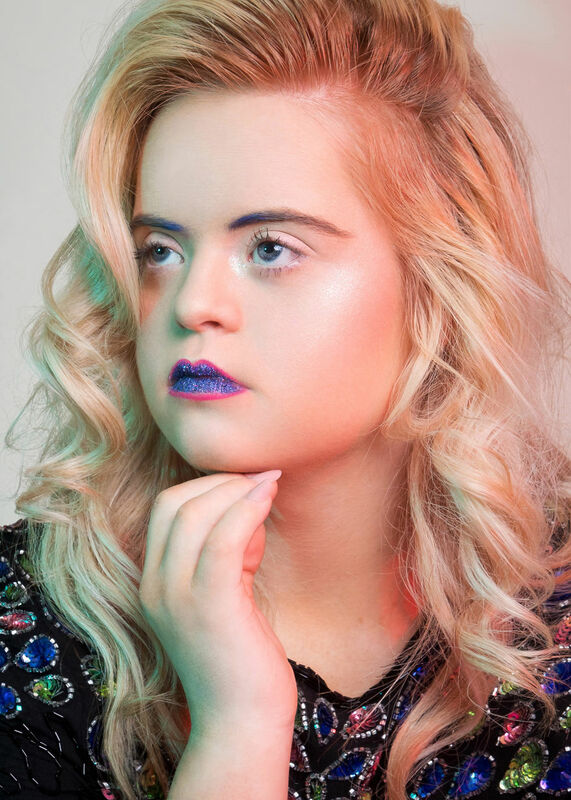 “Being involved in a campaign such as the radical beauty project is very important as it shows others that people with Down syndrome can be diverse too. It’s also such a vibrant, colorful campaign and that’s how we want others to see our kids. Just as we see them.” – says Cheryl – Grace’s mum.